In last week’s blog, we talked about what one should know when buying incontinence products for the first time. It was pointed out that before you can make an intelligent purchase, you have to be familiar with your personal symptoms. We discussed “level of incontinence” and how to read the labeling to determine which product is the best product for your personal level of incontinence. I’m not surprised if you find the process for making a first-time-purchase somewhat complicated and uneasy…most men and women do! But remember, there’s lots of help out there, and you should never be shy or hesitant to talk about or ask questions concerning your personal incontinence condition. Most retail stores will have experienced sales associates to answer your questions and guide you in the right direction…at Careway Wellness Center, they are referred to as Incontinence specialists and have extensive backgrounds and product knowledge. Approach these specialists and ask your questions. And, keep in mind that most establishments that carry incontinence products should have a Free Sample program so you can actually try-before-you-buy. Look for the outlet that has such a program. Now, let’s continue where we left off last week. 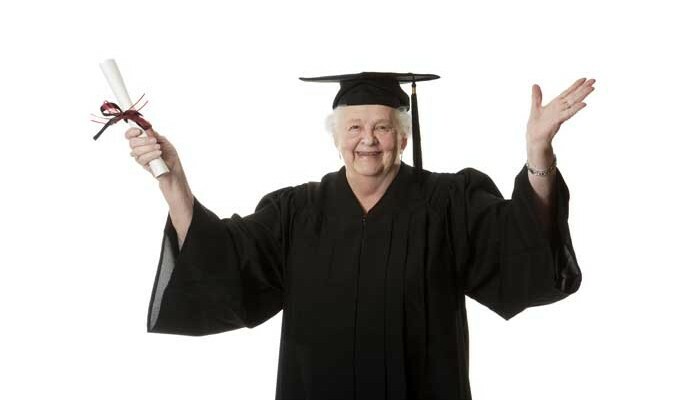 Today, I want to cover additional considerations when buying incontinence products. Among them will be your personal activity level, selecting the proper size, odor control and protecting your skin. If you’re a very active individual, you should be concerned that the product you select does not only have the proper absorbency level for your incontinence condition, but also is well fitting and flexible. If your product selection is for very light leakage, you will not have to be concerned about fit and flexibility since you will be purchasing either a liner or a pad, and these products are designed to be discreet and to fit the contours of one’s body. Liners and pads also have adhesive strips to keep them securely in place. If your incontinence condition requires protective pull-on underwear, it becomes much more critical that you select the right fit. The selected product should fit close to your body just like regular underwear. The correct selection will give you peace of mind because the only person that will know you’re wearing them will be you. Contrary to the above, when selecting an incontinence product for a person with limited mobility or sedentary, you would want a product that’s easy to apply and easy to remove. In these cases, there is usually a caregiver involved. When one is selecting an incontinence product, choosing the correct size is important. Incontinence products come in different waist sizes (S,M,L,XL,XXL,XXXL). You may find that selecting the correct waist size may not be as easy as knowing the correct waist size for a pair of slacks. Although the waist size will be close to your clothing waist size, because of shapes and materials used, the optimum waist size for an incontinence product may not be the same as regular waist size. That being said, your first selection may not be the very best, but it will be close and will allow you to make the necessary size adjustment when next purchased. You might ask…what else do I need to manage my incontinence? Always keep in mind that managing your personal incontinence consists of more than buying products that will absorb your urine leakage…that is only the first step. The next step is skin care. It’s widely accepted that urinary incontinence can contribute to skin breakdown, and for that reason, one should always become familiar with methods and products designed to prevent skin breakdown. The breakdown of skin tissue in persons having an incontinence condition is called incontinence dermatitis and the products used to prevent incontinence dermatitis are termed perineal products. Several studies having to do with incontinence dermatitis have revealed that using only soap and water to clean the perineal area may not be sufficient to prevent skin irritation from occurring. Now that we have an understanding of why incontinent people should be attentive to perineal care, let’s take a look at the various products that are readily available and have proven to be effective in preventing incontinence dermatitis. The Tena brand includes all of the perineal products, therefore, I shall highlight their products in this blog. 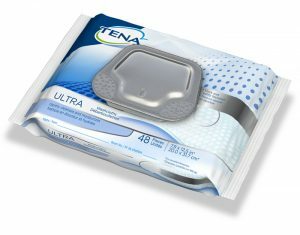 Tena Ultra Washcloths are large, soft alcohol free wipes that come in a handy softpack dispenser. They have special fibers that are impregnated with a fluid that is designed to gently cleanse and moisturize the skin, while removing impurities. The washcloths ensure quick, efficient and gentle perineal care at each incontinence product change. These washcloths can also be used for gentle washing of the whole body. They contain dimethicone, aloe and chamomile. Tena Flushable Washcloths promotes proper perineal care practices for those toileting with or without assistance. They are over 99% biodegradable, sewer and septic safe, and will not clog pipes when used as directed. The moisturizing 3-in-1 formula gently cleans, protects and leaves skin feeling moisturized. These washcloths are alcohol free. 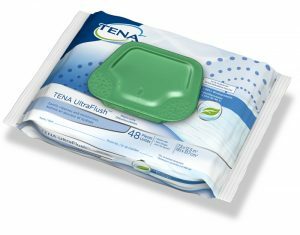 Tena Cliniguard Dry Washcloths measure 10” X 13-1/4” in size and are very strong and very soft wipes. 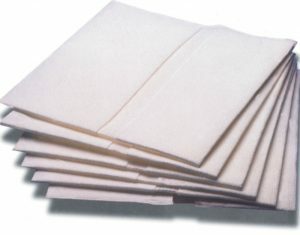 These multi-purpose dry disposable washcloths are ideal for perineal care, but are also suitable for the whole body. They can be used dry with TENA Skin-caring Wash Cream for perineal care, or used with TENA Bodywash and Shampoo for all-over cleansing. Tena Protective Cream is an extra protective cream that contains zinc oxide and vitamin E. It is the choice cream for skin that is sensitive and requires extra protection and care. The zinc oxide serves as the protective coating that will help keep urine from contacting the sensitive skin areas while the vitamin E serves as the healing agent to soothe irritated skin. Vulnerable elderly skin sometimes needs extra help, and this is a product that offers that extra help. This product comes in a handy tube for easy application. Tena Skin Caring Wash Cream is a tubed cream that is easy to dispense and easy to use. It is gentle, and it both cleanses and moisturizes the skin in just one easy step. It is formulated with healing ingredients that help maintain healthy skin even for those with sensitive, delicate and fragile skin. After been applied to the perineal area, It leaves a small lipid film on the skin surface for added protection. This cleansing cream has pleasant mild fresh scent that helps control odor.